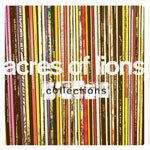 Listening to the second album, Collections, by Victoria-based Acres of Lions, one major thought keeps returning. While nothing is wrong with this album, nothing is really overly right. Taking after other small Canadian bands who have already carved out a niche with a similar sound (see: Said The Whale, Yukon Blonde), Acres of Lions seems to be timidly following in their footsteps, without taking any real risks on the album. What comes out is something that is very fun to ba-ba-ba along to, especially in their single “Reaction,” and tracks that seemed designed for three weeks of radio play before the next new song. Frontman Jeffrey Kalesnikoff never really seems to put much aspiration into his projects besides finding one or two catchy guitar riffs and lyrics to follow through with it. This is an unfortunately easily forgettable album by a band who really sounds as if they could have a lot of fun with what they are doing. Frontman John K. Samson breaks from the folds of his Winnipeg folk-rock band The Weakerthans to produce this nostalgic and intimate look at growing up and surviving in Canada with his new album. Provincial is mostly filled with the same upbeat and twangy guitar sound that The Weakerthans are known for in the recollections of their Winnipeg roots, but Samson paints a picture for his listeners that is much more intimate and mellowed out. The sounds Samson creates in his rather sombre tune “Grace General” are born out of a slow-string quartet framed with the heart of a whining brass section. 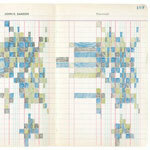 Samson’s album combines cooler and more frigid imagery of the Canadian winter with strong drum accords and guitar licks. These give the album an interesting blend of strength and vulnerability. At times the album recollects the same-old Canadian stories that are brought forth from The Rural Alberta Advantage’s Departed. Quick, name the one contemporary artist you’d expect to release a tribute album to Ray Charles. I would bet a lot of you didn’t say Willie Nelson. 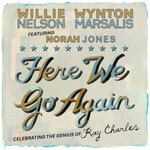 Yes, everyone’s favorite herb smoker is back with Wynton Marsalis in this album dedicated to the famous soul artist. The album includes Nelson’s folksy rendition of “Unchain My Heart.” The timeless song doesn’t receive an upgrade by any means by ol’ Willie but could appeal to folksier crowd unfamiliar with the original. (I hope being unfamiliar with this song is impossible). The album also makes liberal use of the jazz trumpet, no doubt as a further tribute to jazz legend and friend of Charles’, Miles Davis. Jazz singer Norah Jones helps out on several songs, including a quirky, fun tribute to “Makin’ Whoopee.” It made me feet like I was making Italian food in the ‘40s. Overall, Nelson’s familiar vocal stylings are a new take on Charles’ work and well worth a listen.